Clare Cassidy is a literature teacher who specializes in Victorian writer R.M. Holland, teaching a yearly class at the school that was formally Holland’s home. Clare’s life is turned upside down when a good friend and colleague is murdered and a line from Holland’s most infamous of stories, “The Stranger,” is left by the body. This was so good: a modern gothic standalone thriller from one of my favorite mystery writers. ELLY GRIFFITHS is the author of the Ruth Galloway and Magic Men mystery series. She is the recipient of the Mary Higgins Clark Award and the CWA Dagger in the Library Award, and her work has been praised as “gripping” (Louise Penny), “captivating,” (Wall Street Journal) and “must-reads for fans of crime fiction” (Associated Press). She lives in Brighton, England. "This lively whodunit keeps you guessing until the end." "The Stranger Diaries is an utterly mesmerizing thriller. If you like chilling thrillers, this is what you should be reading next." "An entertaining collision of spooks and modern manners...firmly among the finest of modern gothic." "Griffiths’ exceptional standalone THE STRANGER DIARIES is a spring 2019 must-read...Griffiths masterfully blends Gothic influence with modern-day suspense sensibility, and the result is effortless, spine-tingling, page-turning fun...accessible and seriously entertaining, while remaining rich in atmosphere as well...I loved this book." "Packs its punches with the creepy factor." "A multi-layered and splendidly creepy gothic tale...Cliffhangers and gothic tropes abound as the narrative baton is passed between Clare, her daughter Georgia and the former Talgarth pupil DS Harbinder Kaur, with Griffiths expertly ratcheting up the tension." "Griffiths has gifted readers with a gripping homage to the gothic novel...An entrancing literary tour de force in which Shakespeare’s line, 'Hell is empty,' from The Tempest, cleverly connects past and present. Georgette Heyer fans will relish this, as will readers who enjoyed Diane Setterfield’s The Thirteenth Tale​ and Anthony Horowitz’s Magpie Murders​." "A perfectly paced and compellingly page-turning mystery. Griffiths' use of shifting viewpoints and her pitch perfect recreation of a Victorian gothic short story woven through the narrative serve to heighten the tension in this thrilling, and often spooky, tale. The Stranger Diaries will keeping you reading late into the night. You won't want to put it down . . . or turn out the light!" "An English teacher with an expansive knowledge of gothic literature finds herself tangled in a web of murder and mystery that begins more and more to be a kind of twisted work of gothic storytelling in this impressive new mystery. Griffiths writes at the perfect intersection of procedural and psychological thriller, with her latest adding a strong dose of dark atmospherics to spin a truly unnerving story." "This meticulously structured novel features some indelible characters, a vividly-depicted setting, and a strong fair-play mystery...a delightful reading experience and one that many readers will cherish for years to come." "A modern gothic that updates and plays with genre conventions to great effect. Highly recommended for fans of British mysteries and classic whodunit." "Gripping...eerie atmosphere...aficionados of such gothic classics as Wilkie Collins’s The Woman in White, which the killer may have read, will find this a satisfying novel for a rainy night." 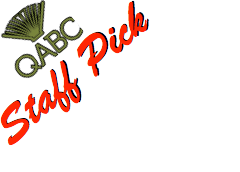 "Sounds like Griffiths is out to show why she’s a CWA Dagger in the Library Award winner." "Griffiths hits a sweet spot for readers who love British mysteries and who are looking for something to satisfy an itch once Broadchurch has been binged and Wilkie Collins reread...has written her first stand-alone novel with immensely pleasurable results." 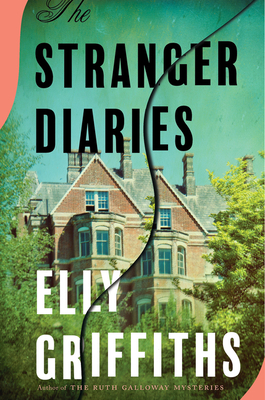 "It is clear from the start of Elly Griffiths's The Stranger Diaries that we are in for a treat...Griffiths has a lot of fun setting up the scares...Armed with an enjoyably sharp detective...Griffiths overlaps perspectives, timelines and narrators, producing a darkly funny, enjoyable mystery." "Spooky...This is written with Griffiths’s usual warmth and lightness of touch but has a genuine creepiness that gets under your skin."